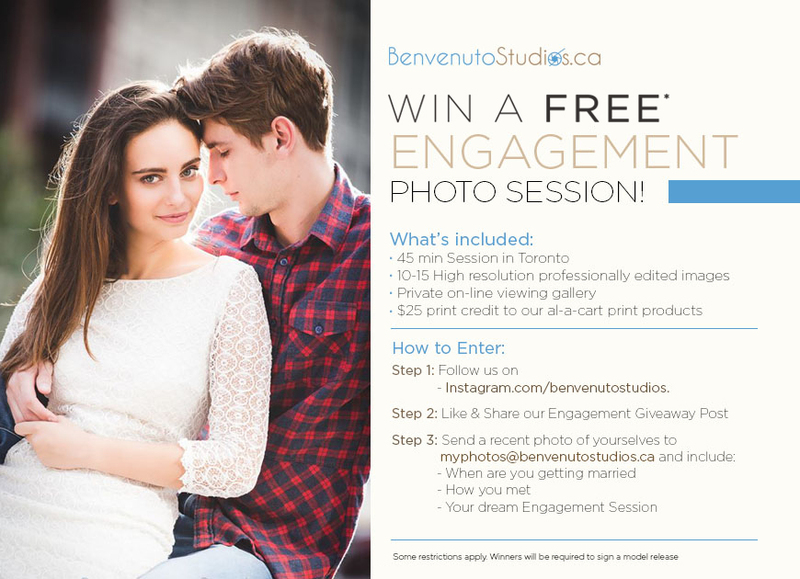 We are giving away 3 FREE Engagement Photo Sessions in the Toronto, ON area. If you, or someone you know has been recently engaged or would like a couple's portraiture session please consider getting in touch. These session are completely free of charge in exchange for signing a model release. •	Locations will be chosen at the photographer's discretion in Toronto ON and the GTA.